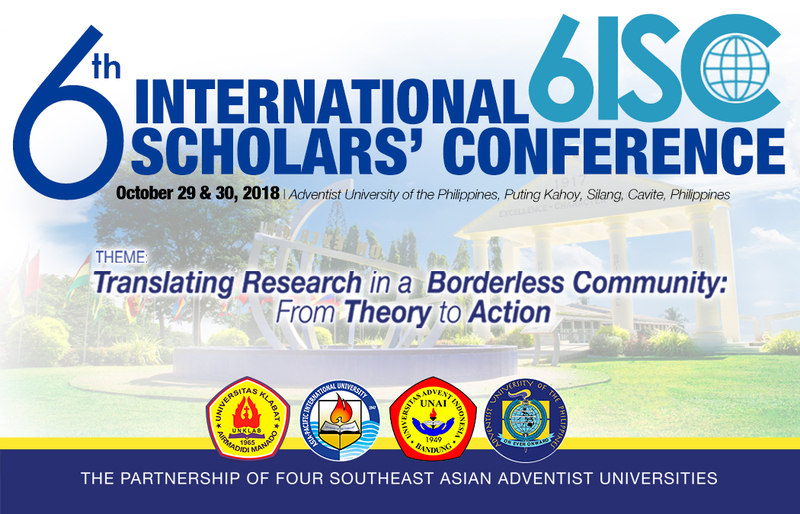 Two hundred sixty-five (265) researches from 33 schools are featured in 59 parallel sessions of paper presentations in the 6th International Scholars Conference (6ISC) hosted by Adventist University of the Philippines (AUP), Puting Kahoy, Silang, Cavite on October 29 and 30, 2018. 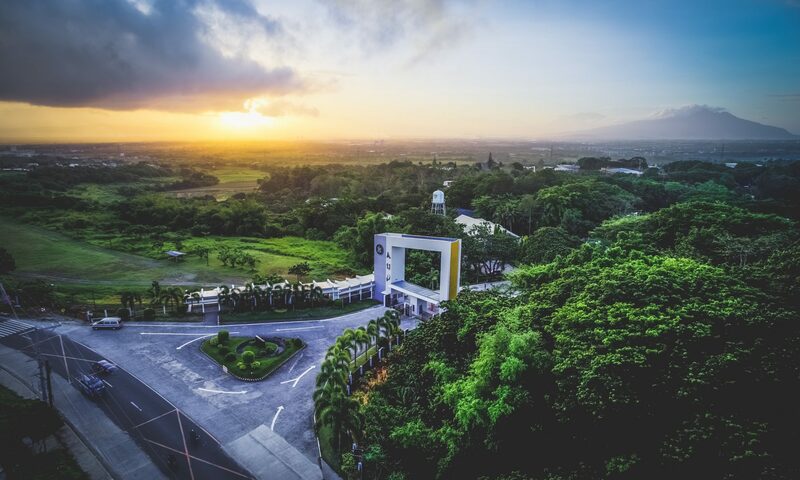 In this light classrooms located in the buildings of four of the 9 colleges in the 165- hectare campus were assigned as venues. The buildings are found in the colleges of Business, Education, Nursing, and Theology, as well as the Graduate Studies building. Presenters and session chairs are affiliated with the following schools from the countries Indonesia, Thailand, Ghana, USA, and the Philippines: AUP, Universitas Klabat, Manado, Indonesia; Asia-Pacific International University, Thailand, Universitas Advent, Indonesia; Asia International Institute for Advanced Studies, Philippines; Manila Adventist College, Philippines; University of Perpetual Help System-Binan, Philippines; Our Lady of Fatima University, Philippines; Central Philippine Adventist College; Mindoro State College of Agriculture and Technology, Philippines; Philippine National Police Academy; Virata School of Business, University of the Philippines; Sekolah Tinggi limu Kesehatan, Rajawali; BatangasState University-ARASOF, Philippines; Valley View University, Ghana; Bell Electronics Corporation, Philippines; De La Salle University-Damarinas, Philippines; Southern Luzon State University –Lucban, Quezon, Philippines; Cavite State University, Philippines, State University of Antique, Philippines; Tarlac State University, Philippines; Northern Luzon Adventist College, Philippines; Isabela State University Philippines; MahapajapatiBhuddist College, Thailand; Far East College, Inc., Silang , Philippines; Francisco Osorio National High School-DepEd, Cavite, Philippines; Capiz State University, Philippines; Andrews University, Michigan, USA; Tarlac State University, Philippines; University of Antique, Philippines; Pacific Adventist University; Central Luzon State University-Ilocos, Philippines; and Mariano Marcos State University, Philippines.